Hapsburg Absinthe has initiated the new ‘Nothing bad about feeling good’ campaign with French break-dancing group, Immigrandz crew. The group, made up from dancers, DJ’s and and MC’s are located throughout France, from Bordeaux to Limoges via Clermont, Valence or Sallanches. The group, made up of 18 dancers meet regularly at their headquarters in Bordeaux and take to the streets to perform. 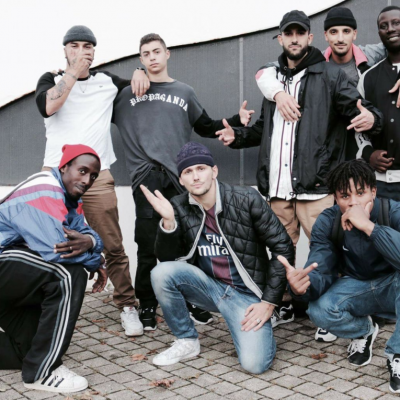 The Immigrandz are passionate about hip hop and celebrate the black music culture and their love of dance by performing all over Europe sharing this love. Nothing bad about feeling good! For the first of a series of dance video’s the Immigrandz crew took to the beaches of Dune of Pilat in South West France in order to shoot the Hashtag #staycool video staring the lovely Cindy Martinez and founder of the crew, Mister Medhi.